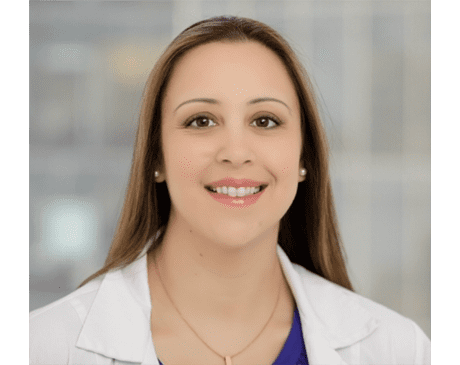 Dr. Alicia Attanasio is excited to join the amazing team at Gotham Foot Care! She enjoys sports, the beach and of course working with her wonderful patients. Quality and comprehensive foot and ankle care is her passion. She believes life is about taking things one-step at a time. It is her honor and privilege to serve as your foot and ankle doctor. Dr. Attanasio completed her doctorate at the New York College of Podiatric Medicine in Manhattan. Following her education, she completed a 3-year foot and ankle surgical residency program at NYU Hospital Center, Brooklyn campus, serving as chief resident in her senior year. During her residency, she had the privilege of working with a variety of specialties including orthopedics, plastic surgery, and pediatrics. She also attended the prestigious Bako dermatopathology mini-fellowship in Atlanta to add to her credentials. Dr. Alicia, as her patients’ affectionately call her, has always been passionate about giving back and has participated in international medical service work, most notably in the Dominican Republic, Haiti and Mexico. Dr. Attanasio continues to participate in research and has published several research papers and clinical articles in both podiatry and other areas of medicine. In addition to being a podiatric physician and surgeon, she is a wife and mom to daughter Mia and son Hudson. Dr. Attanasio is a classically trained ballet dancer with over 20 years of experience. Having been born and raised in New Jersey, she is an enthusiastic NY Giants fan and a lover of all things Bruce Springsteen!